NFL Super Bowl XLIX was one of the most exciting games in recent history, but there was more to the game than those final moments. 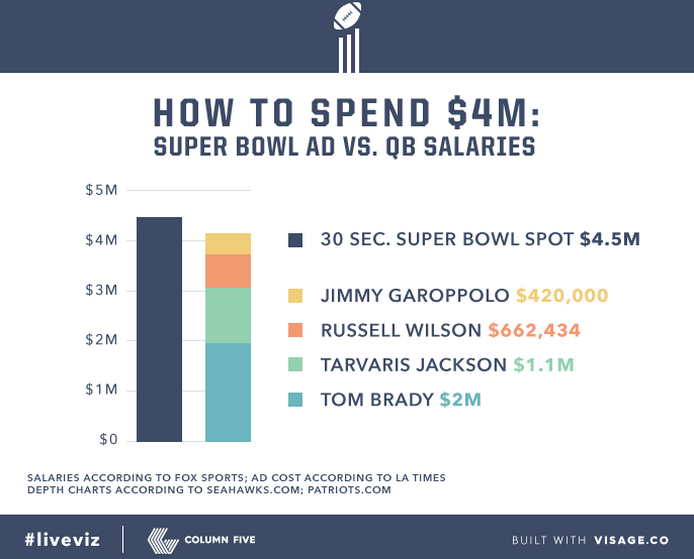 Column Five partnered with Visage to create real-time graphics that provided our own commentary during the Big Game. 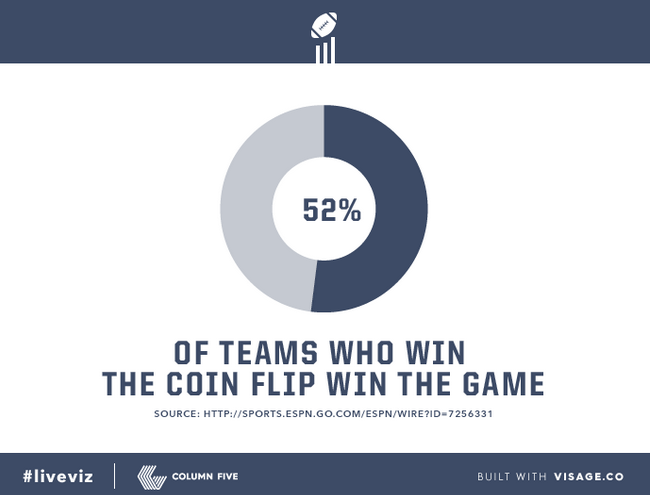 Take a look at our #liveviz pieces, covering everything from the coin toss to the game play-to-ad ratio. Most of the country is in full-on winter mode, which means staying warm is of the utmost important. But does that mean wearing a million layers just to run to the grocery store? Not if you’re wearing Merino wool. We partnered with Icebreaker to create this infographic, which shows you how to layer like a pro. Tax time is right around the corner, and many people choose to file digitally. But that poses its own security risk. How do you make sure your tax-related files stay safe? We partnered with Experian to show you how. As part of promotion for the new A24 Films release, A Most Violent Year, set in 1981, we created content to help immerse viewers in the world of 1981. In this infographic, we take a look at what Hollywood was like that year. America’s freedom was hard won by many individuals. In this graphic, created with History.com, we break down the key figures and facts you should know.